Pork roll is a type of sausage-like meat product commonly available in and around New Jersey. In North Jersey it is usually called Taylor Ham. The product, as it is made today, was developed in 1856 by John Taylor of Trenton, New Jersey, though several firms produce their own versions. Left: Pork roll, egg, & cheese sandwich, a.k.a "Jersey Breakfast". Although the product is widely consumed and enjoyed, it resists accurate description. Some people compare the taste and/or texture to SPAM, Treet, bologna, mild salami, smoked summer sausage, or US-style Canadian bacon. 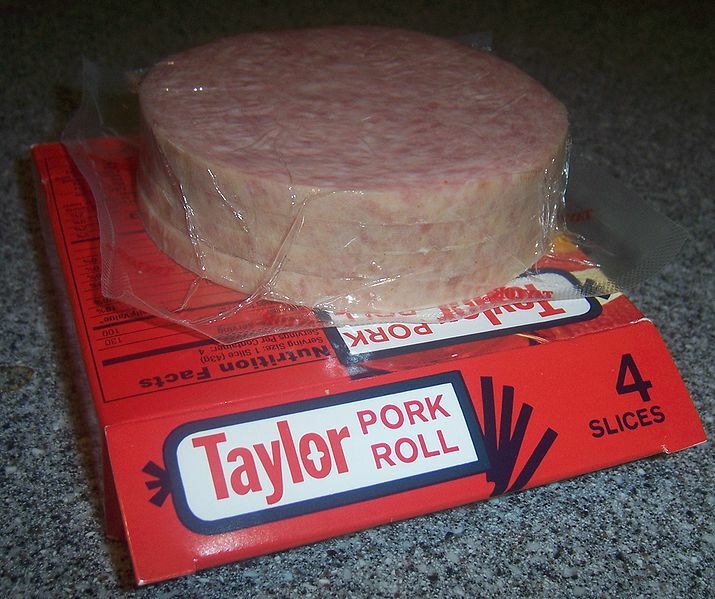 Left: A 4-slice box of Taylor brand pork roll. The product is generally eaten sliced and pan-fried or grilled. A common practice is to slice four cuts from the outer edges inwards about 3/4 inch to an inch towards the center, evenly spaced around the circumference. These cuts prevent the pork roll from curling up in the middle, which causes it to cook unevenly. With these cuts, the cooked slices have become known by many different names such as fireman's badges, pac-man bacon, and notch meat. Known as the Jersey Breakfast, the Taylor Ham, Egg, and Cheese Sandwich is a staple of many delis, diners, and bakeries in New Jersey. 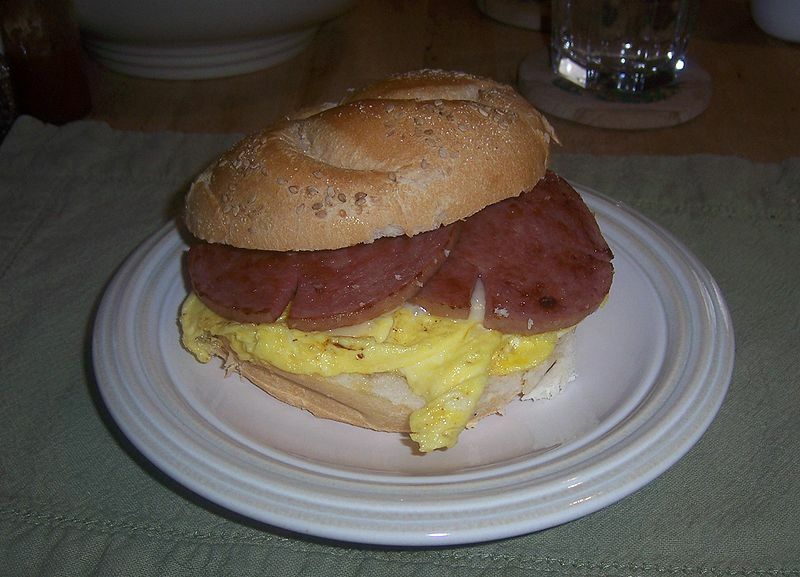 Pork roll can also be used in many recipes.